While we were in South Africa in December visiting family, we tried to squeeze as much in as possible. Because we were limited by my aunt’s health, we stayed close to our home base in Pretoria, and we didn’t venture to the Cape this time (next time!). 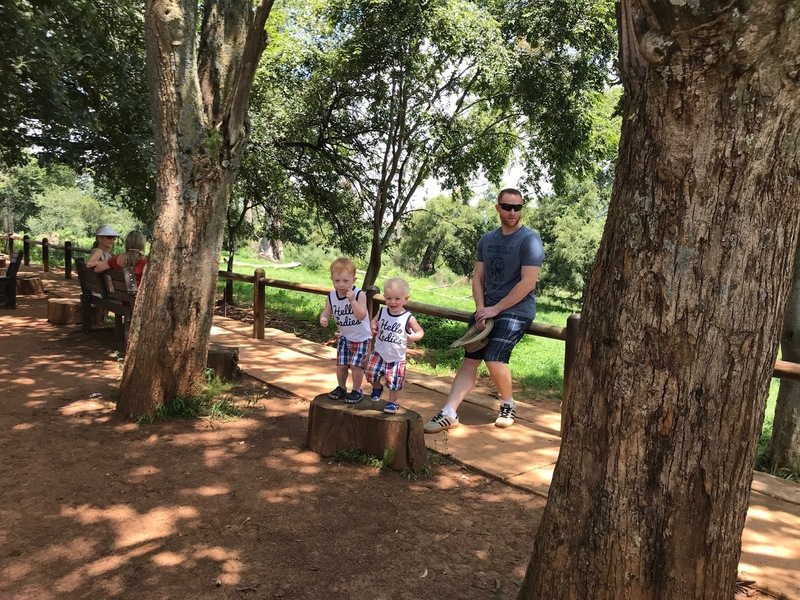 Luckily, there’s still a lot to do around Pretoria and Johannesburg, and my boys still got to see a lot of animals and explore the amazing nature that South Africa has to offer! Because it’s currently summer in South Africa, it was bloody freaking hot. 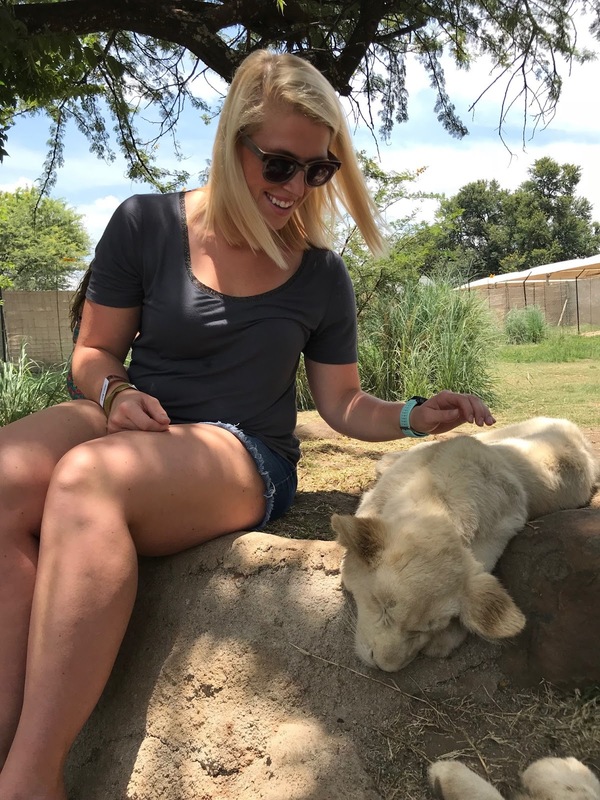 I mean, bear in mind that we’re coming from northern NY, but it was 95 on Christmas, and it was in the 90’s both days we decided to head to Rietvlei Dam & Nature Reserve and Krugersdorp. Both places offer amazing opportunities to see the natural wildlife though, so we just had to do it. 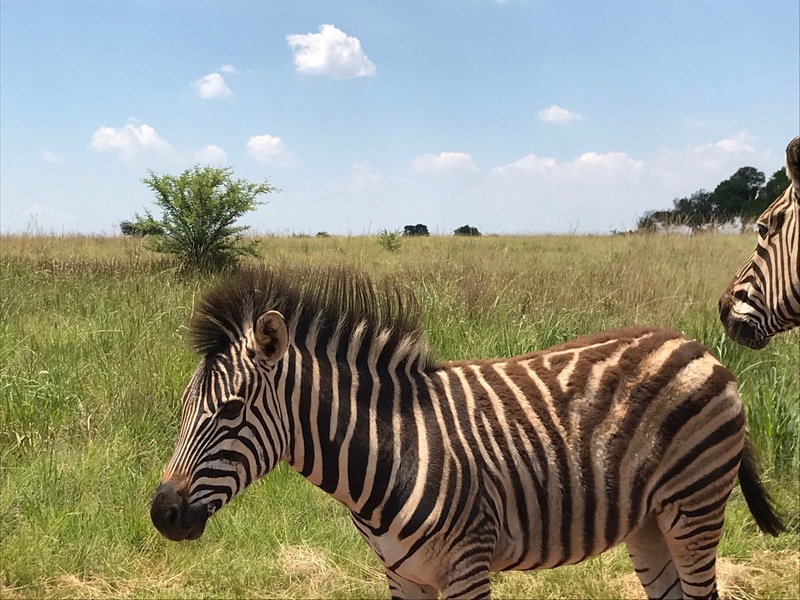 Rietvlei is a self-guided drive-through nature reserve featuring some of the Big 5 including cheetahs, rhinos, and hippos, as well as plenty of springbok and other wildlife. I was the only one in the car who managed to spot the cheetah lounging just off the driving path in the shade, but we saw zebras, buffalo, wildebeest, and more. The boys had a blast checking out the ostriches, and we dined at the local camphouse, which was delicious, and the boys charmed all the other visitors with their rendition of the Hot Dog Dance for almost 30 minutes. Yes, it was as hilarious as it sounds. 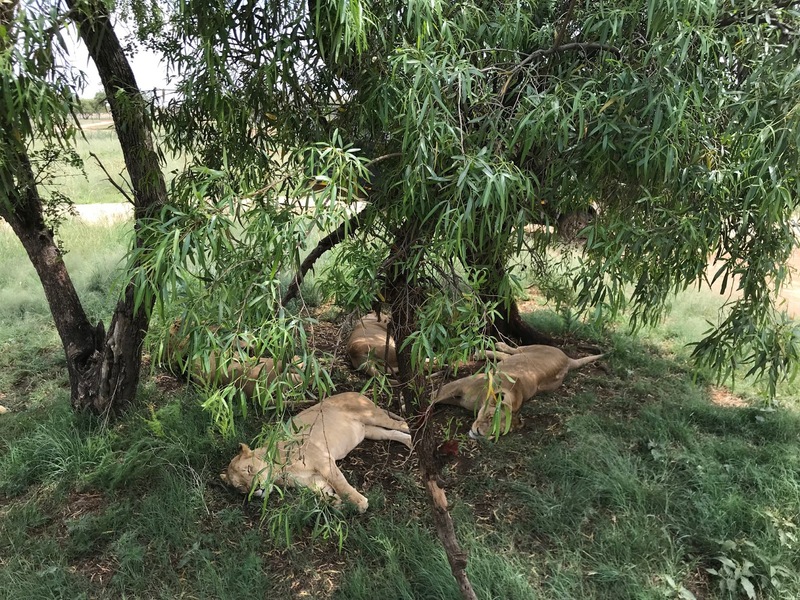 Krugersdorp is home to a couple nature reserves, but we chose to head to the Lion & Safari Park. 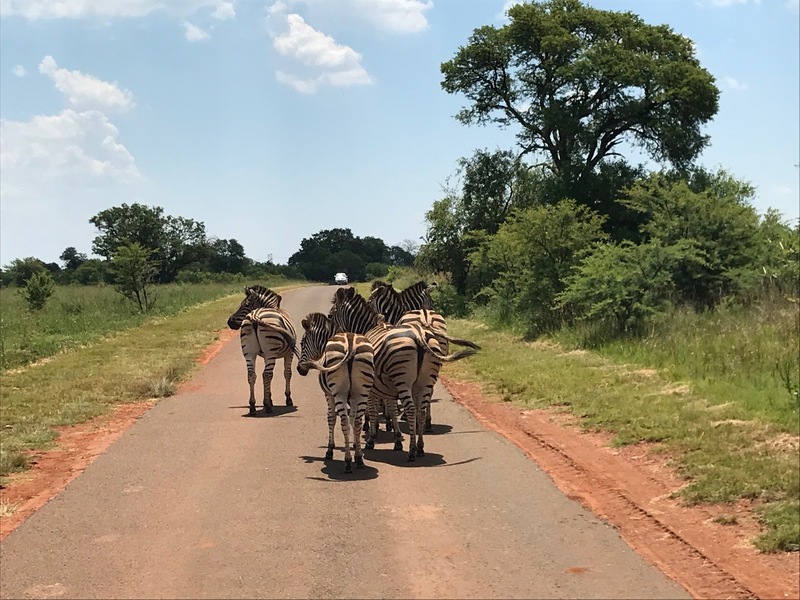 If the boys had been a little older, we would have gone to Kruger Park to drive through, but because it’s malaria season, and because the boys can’t sit still for too long (or stay quiet), we opted for a guided tour this time. They do self-guided drives, as well, but we chose to do the guided safari since my uncle was driving his Porsche, and yes, the animals roam free. Silly man! There are lions, giraffes, kudu, zebras, wild dogs, and more there. Both trips were a lot of fun. 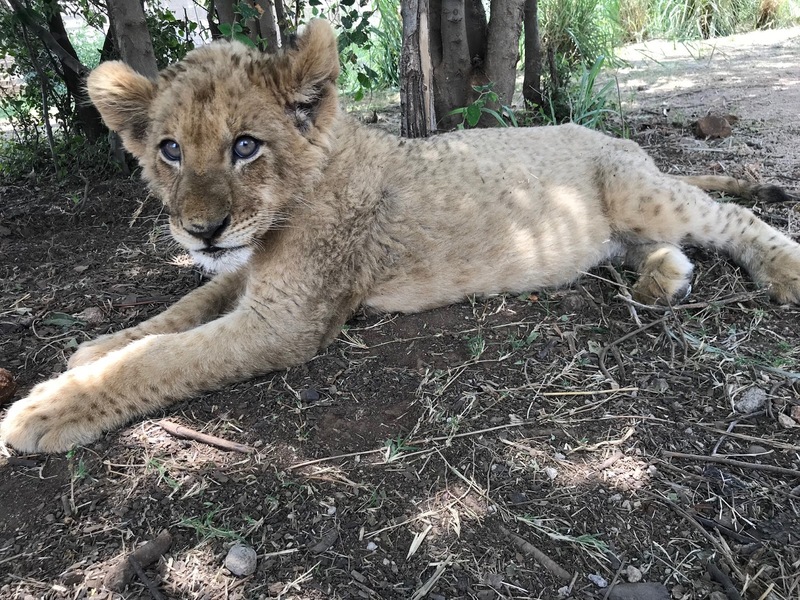 Porter slept through much of the lion tour, but we managed to see a feeding, and I got to pet a lion cub, which was a blast. I was impressed how respectful the game wardens were of the animals. Though most are hand-raised, they’re still wild, and the wardens were extremely protective of the animals’ predatory nature, as well as their space. A woman brought her toddler to pet the cubs, and she kept pulling the cub’s tail. 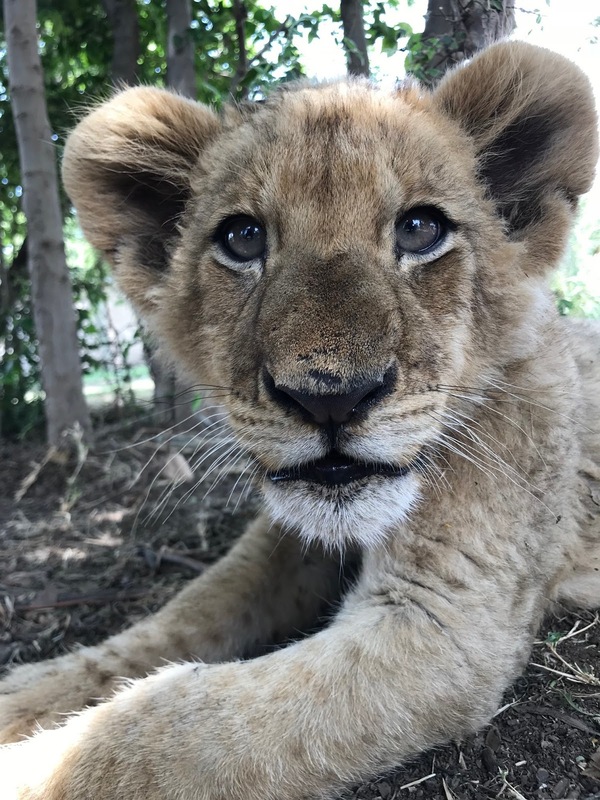 They removed her and told her – yes, they look sweet, but they’re still lions. 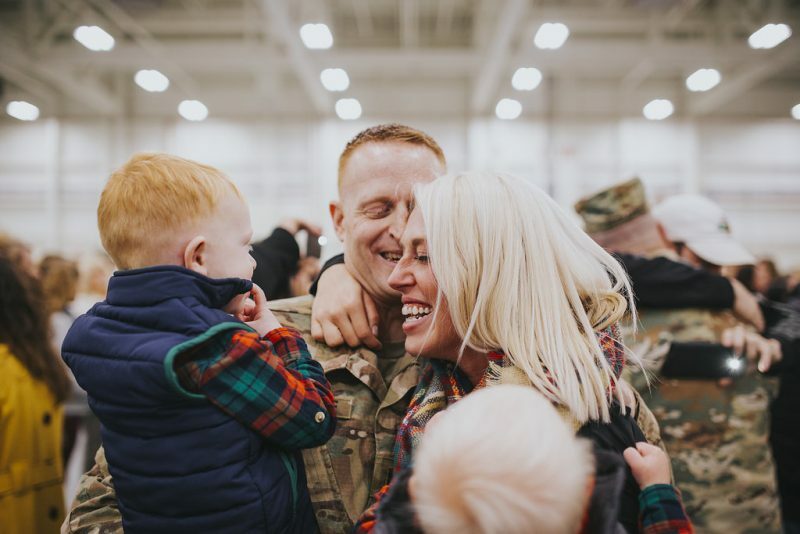 They also kept the visits to a 10-minute period, and gave them 10 minutes between visitors. As an animal-lover, I found that refreshing. If you’re ever in South Africa with little kids, these are both great options! Normal safaris are great, and I’ve done one before, but they’re tricky with younger children, as they require silence and patience. I don’t know about yours, but those aren’t my children’s forte. I’m linking up today with B Loved Boston for Weekending – I hope you all had fantastic weekends and are ready for a great new week!